COR hasn’t been effective: the ALRTA’s Mathew Munro. Improvements to chain of responsibility laws in 2018 can’t come soon enough for the nation’s main livestock trucking body. 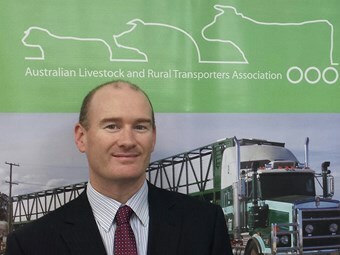 "We’ve had chain responsibility since 1997 but we found by and large in the livestock supply chain it hasn’t been effective," says Mathew Munro, executive director of the Australian Livestock and Rural Transporters Association. "There are precious few if any prosecutions (of customers) that we are aware of," he tells Owner//Driver. "In practice it’s not working in the livestock chain." Take load restraint. The driver and operator cop it if effluent escapes the truck, but not the other parties in the chain who haven’t properly prepared the animals for transport when it comes to timing their food and water intake. And Munro says many customers have a long way to go in minimising fatigue for drivers. One example is export loading feedlots closing too early, with arriving drivers then having to wait until they re-open: "It’s difficult to obtain quality sleep while you have animals moving around in the back of the vehicle." Another is primitive loading and unloading facilities. "Is it really good enough … to have spent five, six or seven million dollars upgrading the yards; covering the whole lot, putting WiFi in, brought in automatic drafting - and they’ve left the old wooden ramp out the back? "It takes drivers longer and it is unsafe," Munro says. "There is a dual role there for OH&S laws and we think chain of responsibility as well." Then there is the issue of weighing animals after sales, rather than before, which can mean big waiting time for drivers - where they can’t necessarily sleep – before having to hit the road to destinations they may not even know about beforehand.